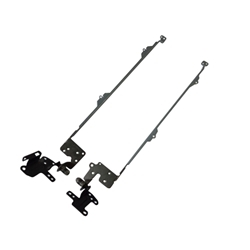 Description: New genuine Acer laptop replacement lcd hinge set. This set includes the right and the left hinge & bracket. Compatible Part #'s: 33.MLQN7.003, 33.MLQN7.004. Acer Aspire E5-411, E5-471, E5-471G, V3-472, V3-472G.